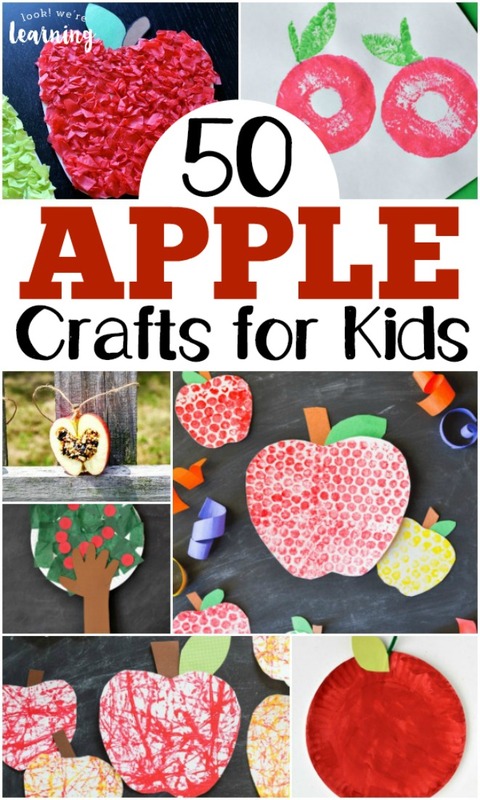 50 Adorable Apple Crafts for Kids - Look! We're Learning! Nothing says “fall” like apples. We don’t really start to see apples on trees around here until late August, but I wanted to start planning some of our fall crafts as early as possible this year. 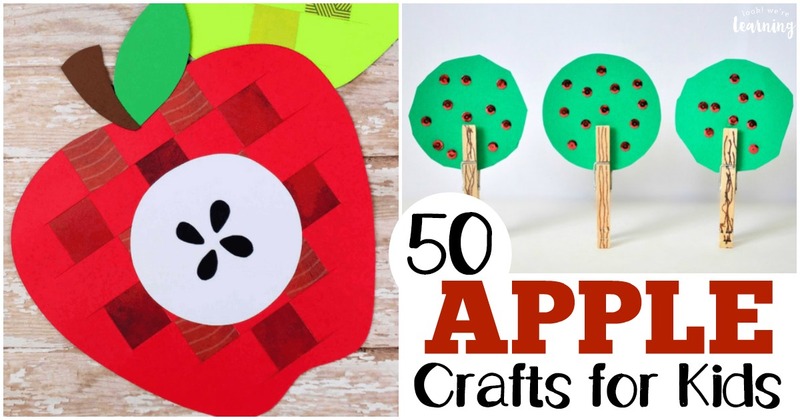 And that’s why I’ve rounded up 50 adorable apple crafts for kids to make! Apples are associated with fall, but they’re also associated with back to school time, so these are perfect for fall crafting or even late summer crafting (if you’re really psyched about apple season). Fall is easily my favorite season of the year. And we try to make it as educational as we can each school year. If you want to add even more fall learning fun with your kids, don’t miss our list of 50 must-read fall books for kids or our list of 50 free fall printables you can share with your children! 1. Coffee Filter Apple Craft – Look! We’re Learning!